Fun in the sun can quickly turn into a painful sunburn if you're not careful. We'll teach you how to tame that pain fast and easily at home with simple, natural ingredients! 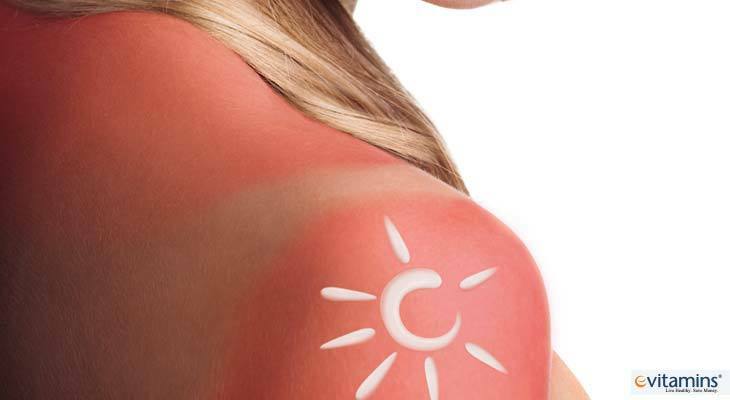 A sunburn is just that, a form of burn caused by the ultraviolet rays of the sun. Your complexion, the time you're outside and how strong the sun's rays are (based on the season, weather and time of day) all factor into whether you go home golden or glowing red. If by chance you do overdo it, you don't have to suffer through the uncomfortable symptoms until your skin heals. These are our best solutions to reduce pain and inflammation and assist the skin in recovering properly. Not just for breakfast, steel cut oats can help calm inflammation and ease pain. You can add the oatmeal directly to lukewarm bath water (as cool as you can stand it) or put them in cheesecloth or a nylon stocking for easier cleanup. Soak for as long as you like. This is a remedy everyone has heard of and for good reason -- it just works. Aloe vera gel has natural analgesic or pain-fighting properties while also being intensely hydrating. Keep aloe vera gel in the fridge and apply it every couple of hours. It may also help reduce peeling. Peppermint also has pain-fighting properties. Just be sure to only use a few drops to prevent further irritation. While willow bark contains a chemical known as salicin, which behaves in the same way within the body as aspirin. If you're looking for a natural oral painkiller to reduce discomfort, consider trying white willow. Hydration is key during sun exposure but especially if you've overdone it. You need to rehydrate the skin from the inside out to prevent further dehydration. Coconut water is rich in electrolytes like potassium which help maintain the body's moisture balance, so drink up! Adding a splash of tart cherry juice provides additional anti-inflammatory benefits while also helping you sleep better thanks to melatonin. Witch hazel is a natural astringent that can be soothing when applied to sunburned skin while also promoting healing. Dab it onto the sunburn with a cotton ball. Two foods you may already have in your fridge can work wonders when it comes to sunburns: milk and plain yogurt. The cool temperature of these dairy products plus the fat they contain can help nourish the skin and reduce pain and swelling. You can add milk to bath water or soak a towel in it to make a compress. Yogurt can be applied directly to the skin, left on until it dries and then washed off. Another natural astringent, apple cider vinegar also has antibacterial properties. You can also dab it onto the skin with a cotton ball or put it into a spray bottle for faster application. The smell may not be ideal, but it can make you feel much better. Coconut water to hydrate from within and coconut oil to hydrate from the outside in. Coconut oil is rich in fats that provide deep hydration and nourishment for the skin. Coconut oil also absorbs easily. Apply it right after you bathe to help bring the skin back to health. When you're out in the sun, be sure to reapply sunscreen every two hours or more often if you're sweating or swimming. If you experience severe blistering, fever, nausea or dizziness after sun exposure, be sure to seek medical attention, as these could be signs of severe dehydration and heat stroke. Find more natural remedies for everyday issues at eVitamins. Stay well!